A few months back I purchased the Loon Puzzle from your company. I have finally completed the puzzle (no pieces missing), which was a bit of a challenge in a good way, glued and framed it. I have enclosed a few pictures that I thought you might like to see. Thank you very much for offering such wonderful puzzles. Joann E. Port Carling, ON. 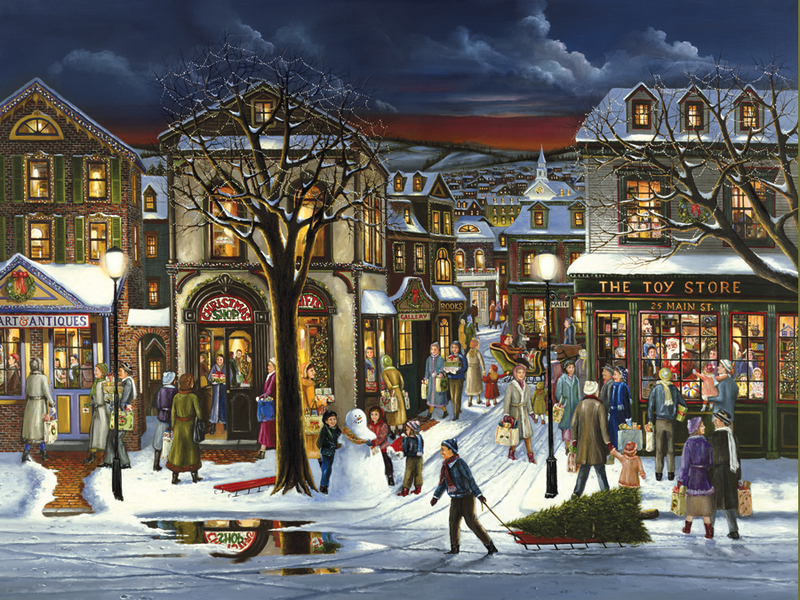 Dear Sir: I received a Tis the Season 500 piece puzzle for a Christmas gift. I have already put it together and enjoyed it very much. I just love the crazy shape pieces. Even though they are odd shaped they are easy to put together. Brought me hours of fun and enjoyment. Thanks for your good grade of puzzles. Happy Customer. Margaret G. from Rocky Mountain, NC. Just finished your puzzle The Old Coach Inn. It was the most difficult and challenging puzzle I have ever worked. I will be 80 years young in 2 weeks and to say I was frustrated frequently while working this puzzle is an understatement but rewarding.